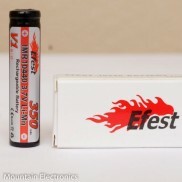 From this listing you can choose from any of the available listed LEDs and we will reflow them to th.. 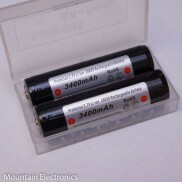 These are the XP-Ls that come from Cree "pre-dedomed". These fit under the Carclo o.. 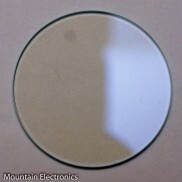 These are the newest XP-Ls that come from Cree without a dome. These fit under the .. 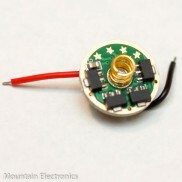 These are the newest XP-Ls that come from Cree "pre-dedomed". These fit under the C..
Samsung's new LH351D line of LEDs are another great choice when you're looking for great output and ..
Samsungs new LH351D line of LEDs are another great choice when you're looking for great output and g.. These are the "factory dedomed" XP-L LEDs. This LED is bare and must be reflowed to an MC.. 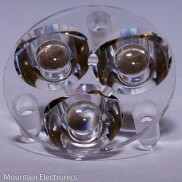 These are the domeless XP-L LEDs. The elimination of the dome increases throw by decreasing th.. These are the domeless XP-L LEDs. The elimination of the dome increases throw by decreasi.. These are the "factory dedomed" XP-L LEDs. Color temperature: 6500-7000K Ti.. These are the "factory dedomed" XP-L LEDs. Color temperature: 5000K Ti.. These are the "factory dedomed" XP-L LEDs. Color temperature: 6500-7000K.. The SST-40 is a super-high power output 3V nominal LED. If your goal is maximum output from a ..
Osram CSLNM1.TG white flat LEDs offer a ton of throw in a tiny package! Not recommend.. This is a bare LED --- it must be reflowed to an MCPCB before it can be used. There i..